The market for affordable SMB networking products is constantly expanding, leading to the development of enterprise-level wireless access points (at a lower cost) and the Ubiquiti UniFi UAP-AC-PRO and the TP-Link EAP245 are two such solutions suitable for both small & medium businesses and for home use (an environment which, lately, has gathered a lot more attention due to the growing numbers of consumer-type devices dependent to a wireless connection). The traditional wireless access point was a single device which would get connected to the router and have the role of extending the WiFi network in areas where the router’s signal would not reach. The newer wireless access points work on a similar premise, but considering that the main focus is the SMBs, the manufacturers have focused towards the scalability factor, therefore allowing the deployment of multiple access points on various sites and, since this number can go past a hundred, a controller also became a necessity. This approach is not new (it was borrowed from the corporate industry), but both TP-Link and Ubiquiti focused towards creating a more welcoming environment, especially for beginners. 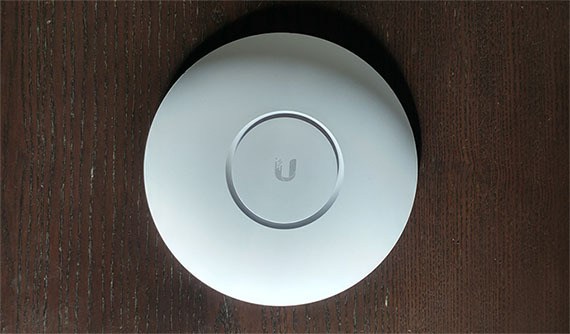 The Ubiquiti UniFi UAP-AC-PRO is the older wireless access point, so it had some time to mature and overall become a better device, especially in terms of software – UniFi can be considered the best on-site and Cloud controller available right now considering the price tag of the access points. The TP-Link EAP245 is a lot younger and it is pretty much the first available device that can be adopted within the new Omada environment, so the controller is still a bit unpolished, especially when compared to the UniFi. 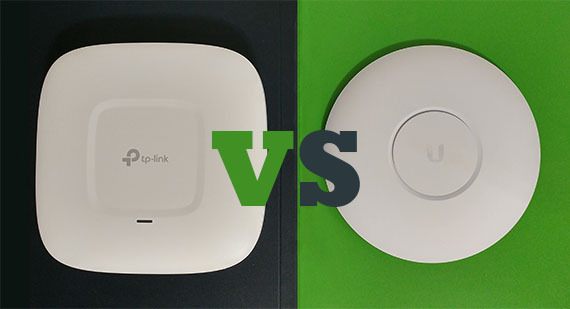 At the same time, the new EAP245 does come with some new interesting features (which may be common today, but were not three years ago), so let’s see if the TP-Link EAP245 has the potential to dethrone the Ubiquiti UAP-AC-PRO or if the latter still holds the crown as one of the best wireless access points for homes, as well as for small and medium businesses. Note: You can also check the full review of the Ubiquiti UniFi UAP-AC-PRO and the full review of TP-Link EAP245. While the wireless router is currently experiencing a design revolution (the new WiFi systems are challenging the traditional industrial-type look with external antennas by replacing them with neutral, minimalist cases inspired by Apple’s Airport line), the wireless access points have long gone past the router-look-alike phase, so it’s no surprise that neither the TP-Link EAP245, nor the Ubiquiti UniFi UAP-AC-PRO mimics the traditional-looking networking device, instead both closely resemble ceiling flush mounts. The reason for that is because both devices were specifically designed to be only mounted on the ceiling or wall since neither have any silicone feet on the bottom area to allow the safe positioning on a flat surface (obviously, you can keep either of them on your desk, but there’s nothing to keep them from budging – if you want an AC1750 wireless access point that can also sit horizontally, there’s the Open Mesh A60). 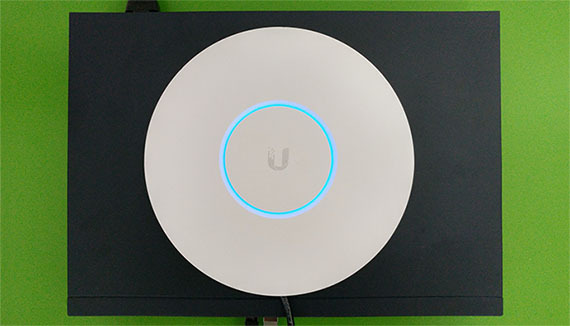 The Ubiquiti UAP-AC-PRO features a circular, saucer-type body, slightly inflated towards the top where a small canal divides the case to make way for a LED light to shine from underneath. 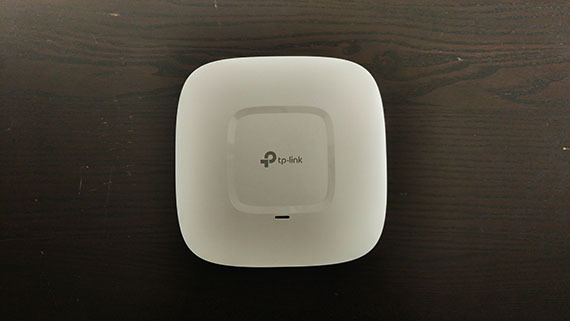 The entire device is covered by a white matte finish, just like the TP-Link EAP245 but, this is where the common elements end since the EAP245 went for a slightly different look: the case is rectangular with rounded corners, while on the top, there’s a glossy white band surrounding the logo and you won’t find any cut-outs to allow the LED light to shine through, there’s just a small, unobtrusive indicator to let you know about the status of the device. In terms of size, the EAP245 is not really the most compact wireless access point (it measures 8.1 x 7.1 x 1.5 inches and it weighs 1.0 lbs), but, while it may not look as elegant as the UAP-AC-PRO or Open Mesh APs, this could come as an advantage from the heat management point of view. When I tested the EAP245, it did get warm, especially on the bottom area, near the label, but the access point never overheated – the larger case did help a bit in this scenario, but the ventilation cut-outs that surround the bottom area are the main reason for accomplishing this feat. Obviously, since it’s not completely sealed, the TP-Link EAP245 is not suitable for outdoor deployment. The Ubiquiti UAP-AC-PRO is a lot slimmer and despite having a larger footprint (7.74 x 7.74 x 1.38 inches and weighs 0.77 lbs), it actually gives the impression that it’s the smaller device between the two. Furthermore, the manufacturer decided to market the access point as outdoors-suitable (although I wouldn’t advise keeping it in the open), which means that the case is sealed off and it lacks any cut-outs. In terms of heat management, there’s hardly any (except for some chipset efficiency), so the wireless access point does get warm all around and it does have some hot spots on the bottom area, near the label, especially when put under some stress. As I already mentioned, both access points feature a single LED light which has the role of showing the status of the device and the network using various colours. In the case of the TP-Link EAP245, the LED indicator will be green when everything is fine with the device, it’ll flash red when there’s an error or malfunction and yellow when the access point is upgrading the firmware. The LED light on the Ubiquiti UAP-AC-PRO will shine solid blue when the access point is working properly, it will flash blue every 5 seconds when the AP loses the connectivity, it will quickly flash blue when the device is upgrading its firmware and the LED will flash fast white when it encounters an error. This one LED system remains very non-intuitive (although, I guess that it is compatible with the minimalist approach) and the user will have to consult the manual to understand what is going on with their device. 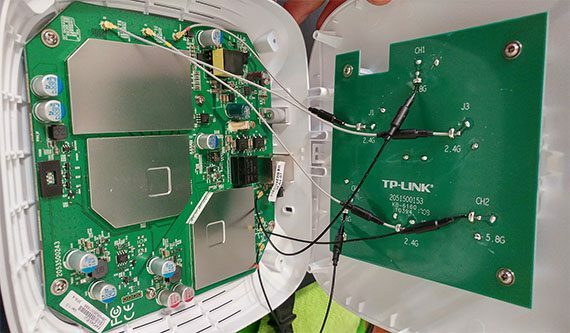 To gain access to the ports area on the Ubiquiti UAP-AC-PRO, you need to remove the silicone cover from the bottom side (it requires a bit of force), therefore exposing the two Ethernet Gigabit ports, one is Main (used to connect the AP to a router, switch or PoE injector – supports 802.3at PoE+ and requires up to 9W) and the other is Secondary (used to connect clients or to another UAP). In between the ports, there’s a Reset button (to return the device to factory default settings) and a USB port which can be used to connect to a PA system. TP-Link makes the ports area easily accessible on one side of the device: from the left there’s a Kensington key lock, a Reset button (to return the AP to factory default settings), a single Ethernet Gigabit port (it supports the 802.3at PoE standard) and a Power connector. Considering that the EAP245 is going to be mounted on the ceiling or on a wall, the cables can sit a bit awkwardly, so the user may need a bit of ingenuity to completely cover them (unlike the UAP-AC-PRO, where the cables can easily go directly to the ceiling from the carved-in area); furthermore, I do appreciate the ability to choose between powering the device using a PoE injector/switch or simply using the provided cable, but I don’t understand why TP-Link decided that one port is better than two – as a consequence, you won’t be able to connect any device using Ethernet cables. Note: Inside the package, both devices come with the necessary mounting gear and, depending on the chosen model, neither come with a PoE injector (the TP-Link EAP245 doesn’t necessarily need it and if you choose the Ubiquiti UAP-AC-PRO vesion, not the UAP-AC-PRO-E, you will get a PoE injector inside the box). Verdict: Both the UAP-AC-PRO and the EAP245 feature a minimalist design, so they’re not going to have a negative impact on the style of the room where they’ll be mounted. It’s true that the EAP245 has a better heat management and the possibility to power it using an adapter is a bonus, but the single Ethernet port and the larger proportions does incline the balance towards the Ubiquiti UAP-AC-PRO which wins this round. In terms of internal hardware, the Ubiquiti UAP-AC-PRO and the TP-Link EAP245 don’t differ that much, both featuring a Qualcomm Atheros QCA9563 3×3 SoC (clocked at 750 MHz). Additionally, the UAP-AC-PRO is also equipped with a Qualcomm Atheros AR8337 switch chip, 128 MB of RAM, 16 GB of flash memory and the wireless access point uses the QCA9563 b/g/n chip for the 2.4GHz radio and a Qualcomm Atheros QCA9880 802.11a/n/ac chip for the 5GHz radio. 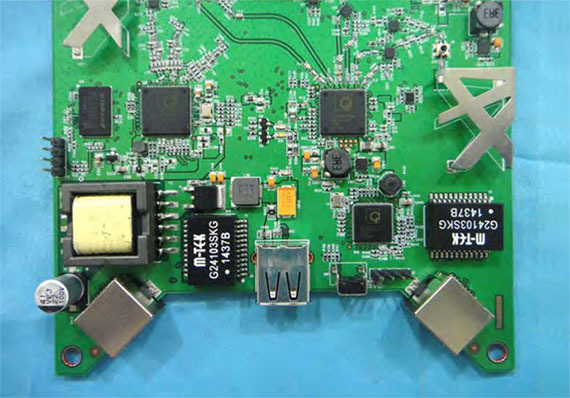 The EAP 245 also comes with 128Mb SPI NOR Flash (from GigaDevice) and Atheros AR8033-AL1A Integrated Ethernet Transceiver Chip, while for the 5GHz radio, it uses a Qualcomm Atheros QCA9982 3×3:3 chip and an Atheros QCA9563 b/g/n 3×3:3 chip for the 2.4GHz radio. Both wireless access points are marketed as AC1750-class devices, which means that the maximum theoretical data transfer rate using the 2.4GHz radio band is 450 Mbps and the maximum theoretical data transfer rate using the 5GHz radio band is 1,300 Mbps (remember that these are only theoretical maximum rates and to see the wireless performance in real life conditions, I tested both devices in the Features and Performance section of the article). Verdict: There is no significant difference between the two access point from the internal hardware point of view and, since both devices are properly equipped to be suitable for 2018’s exigences, this round ends in a tie. 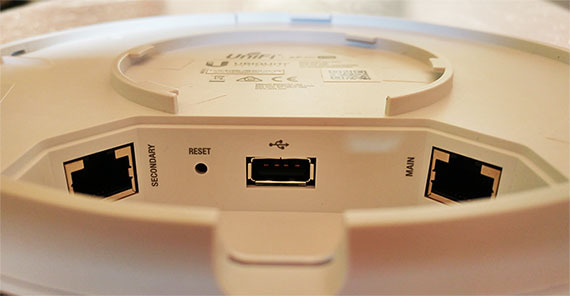 The Ubiquiti UAP series is well known for its UniFi controller which, similarly to the enterprise-type access points, offers a large array of advanced features, it acts as a centralized environment for all Ubiquiti devices compatible with this series (so it’s fantastic for scalability) and it works on-site and connected to the manufacturer’s Cloud servers (unlike the Open Mesh A60 which only has the cloud-based controller available, but it is free, whereas Ubiquiti requires paid subscriptions). In order to run the initial configuration process, you need to download, install and run an instance of the UniFi controller on a local machine (any computer that will be connected to the new network); next, you will be asked to choose a location and TimeZone, choose the access point, create a new SSID along with the password and lastly, you have to set up an admin account. If you don’t want to install multiple Ubiquiti access points and don’t care for the UniFi features, you can simply detect the UAP-AC-PRO using the dedicated mobile app and run it in stand-alone mode (be aware that the access point needs to be in its default state and not adopted by a controller). The application will also detect any adopted access point and run a simplified instance of controller on your mobile device. For a while, the TP-Link access points could be installed and configured using a web-based interface (in a similar manner to the traditional router) and, a couple of years ago, TP-Link migrated to Auranet which recently became the Omada controller. When compared to the Ubiquiti UniFi, Omada does show its young age, especially since it can, at the moment, only integrate access points (so no gateways or switches, for now) which means that there are less features available. Still, it does have some common elements with the UniFi, so the user can use Omada on-site which requires running a local instance of the controller or you can connect to the TP-Link Cloud servers. Since I chose the local controller path, I had to run the Omada software and, as soon as it detected the access point, I could create a new SSID and passkey and set up a new user name and password (at the end, I could also create a new Cloud account). If you don’t want to take advantage of the Omada features, you can use the mobile app and access the Standalone APs which will immediately detect the EAP245 and offer some basic configuration options (such as enabling or disabling the LED, changing the wireless settings, view clients and more). Besides these options, TP-Link also allows you to configure and access the AP in a separate interface (just like you would do on a router).